Congregation Emeth provides a warm and welcoming environment for sacred spiritual pursuits for people of all ages. 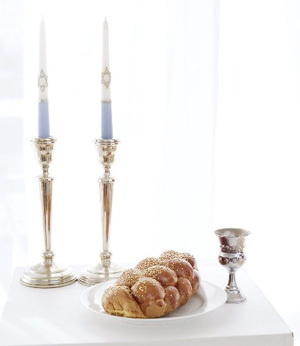 Shabbat services are held most Friday evenings at 7:15 pm. Approximately once a month Emeth instead offers a Saturday morning service at 10 am. Our primary prayerbook is the Mishkan T’Filllah, which includes a mixture of English and Hebrew, for which transliterations are included. Fluency in Hebrew is not necessary or expected. We encourage individuals to make services more meaningful for both themselves and the congregation by participating in reading prayers, singing songs, and other service activities. Children are welcome at all services. All members and guests are always welcome at any services. If you have never visited Emeth before and would like to attend services, you are welcome to drop by (check our website for a schedule) and we will welcome you warmly; if you would feel more comfortable knowing that we are expecting you, we encourage you to contact membership@emeth.net and we will be sure to have someone looking out for you to greet and introduce you. This informal short Erev Shabbat (Friday evening) service also provides congregants the opportunity to learn the meaning of the prayers and discuss the Torah portion of the week. Rabbi led, this service is appropriate for children of all ages as well as adults. Prayers for healing and Mourners Kaddish are included. These twice-a-month services, while open to and appropriate for all, are also part of Emeth’s Jewish Studies curriculum for students in grade 3 through bar/bat mitzvah.The service is followed by a sweet oneg. 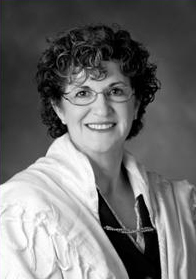 This Erev Shabbat (Friday evening) service highlights the music of Shabbat. This is a high energy, musical service appropriate for both children and adults It is a full Shabbat service, (without a Torah reading) with a sermon or teaching from the Rabbi. It is followed by a sweet oneg. This traditional service includes a reading of the weekly Torah portion and a sermon or teaching from the Rabbi. It is a complete Shabbat service, whether held Erev Shabbat (Friday evening) or Shabbat morning (Saturday morning). All congregants are invited to celebrate a bar or bat mitzvah as a community. This is a traditional Shabbat morning service with Torah and Haftarah readings, followed by a Kiddush lunch for all, hosted by the family. Attire is synagogue traditional (business casual to semi-formal). Less than once a month, Congregation Emeth does not have community Shabbat services. Resources are available to facilitate a meaningful Shabbat dinner and Torah discussion in your home. Go to Shabbat at Home. Read Rabbi Israel’s weekly message. This message are usually based on the week’s Torah portion.